Gift Packing has emerged as a money spinner in recent times. A little bit of creativity can make your gift stand out amongst the rest. Take a plain wicker basket and paint it with silver/ gold color and let it dry. The colors have to be co-ordinated to give the gift a pleasing look. Lay out the color combination beforehand , i.e. the ribbons, net cloth,tissue cloth and tissue flowers etc. One can have a single color scheme with shades or different colors. Different events also demand different packaging eg Christmas gifts should have bells, berries , Santa Claus , sledge, snow etc. Wedding gifts look great with silver, gold , red and other happy colors . A basket can be simply decorated with net, tissue ribbons , tissue roses and satin ribbons. 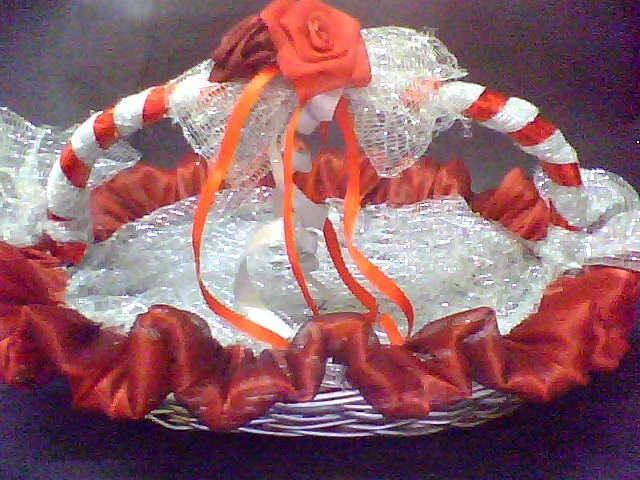 Fevicol or hot glue can be used to stick the net cloth, ribbons and roses or readymade flowers.